Could the same research be done with other types of stem cells? Tissue stem cells are also called adult stem cells and exist in our bodies all our lives. They are restricted – they can only make the types of specialized cells that belong in their own tissue. Despite some claims to the contrary, no tissue stem cells have been shown to be pluripotent (able to make all the types of cells in the body). Skin and blood stem cells have been in use in the clinic for decades and tissue stem cells are undoubtedly valuable for future research and applications. However, scientists are still learning how to multiply, control and use different types of tissue stem cells. Tissue stem cells have not been obtained for every tissue of the body and are not always easily accessible. In addition, when placed in a dish they have a tendency to lose their ‘memory’ of what they are and what cells they are expected to produce. This means scientists need to develop systems for growing each type of tissue stem cell in a way that maintains the properties they would have in the body. 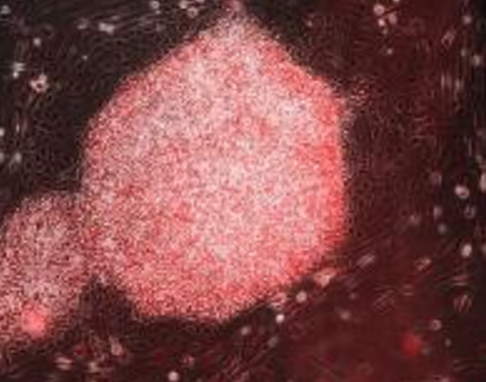 Embryonic stem cells give researchers access to certain types of cells that are vital for disease research and are not available from tissue stem cells, such as neurons (nerve cells) for Parkinson’s disease research. Researchers do not yet know precisely how the process of reprogramming works, and there are important differences between the behaviour of hESCs and iPS cells that are not understood. It is necessary to continue to compare hESCs and iPS cells to establish how iPS cells work and what the advantages and limitations of each of these cell types are. iPS cells are created by reprogramming adult cells using laboratory techniques. They do not exist in our body nor appear during our development. The techniques used to make them have not yet been perfected and can produce abnormal, potentially unsafe cells. iPS cells can also undergo unpredictable changes in their genetic make-up when they are grown and multiplied over a period of time, which can affect their behaviour. As with hESCs, iPS cells can self-renew (copy themselves) indefinitely and this property must be turned off before use in therapies to avoid formation of tumours. So iPS cells are very promising tools to investigate diseases and develop new drugs in the laboratory, but many more careful studies are needed to determine whether they will be safe to use in treatments for patients. As with hESCs, more work is also needed to understand how to control iPSCs to produce particular types of fully functional specialized cells. Continued comparison with hESCs will be important as research develops, and will aid progress since information about each of these types of cells can help improve understanding of the other. Cells that will eventually be transplanted into people must be prepared in a strictly controlled environment to ensure they are not contaminated and are of high quality and purity. Reaching this point on the road to the clinic is the result of years of research and development. Currently, no iPS cells are approved for clinical use because of the gene manipulation procedures required for their production. It will take time to overcome this hurdle and develop clinic-ready iPS cell lines. Most scientists think that the best use of iPS cells will be in drug discovery, certainly in the short- to medium term. Taking our adult cells backwards in life to an embryonic stage to produce iPS cells in a consistent and safe way may require a level of control over the DNA in the cells that we are far from understanding. The discovery of iPS cells was based on an understanding of hESC biology. It is not yet clear which cells will be most useful in which ways, and many questions remain to be answered. Further hES cell research could open up more unforeseen avenues of research and applications. Recent research has shown that it is possible to convert adult cells directly from one type of specialized cell into another. This is termed direct reprogramming or transdifferentiation. However, it is not yet clear whether it will be possible to generate the large number of cells needed for treatments using this technique. As with iPS cells, the reprogramming process is not yet fully understood and many of the same questions apply to direct reprogramming as described above for iPS cells.